In February, I unrolled my mat in Mia Hamza’s yoga class for the first time. She focused, in that class, on opening the side body and (as hyperbolic and gluteus-kissing as this sounds) it transformed my practice. The Nia practitioner in me loved having a focus: a thread that connected the poses and sensations. I loved that the poses and muscle groups were relatively new to me. But mostly, mostly, I loved how good I felt after that class. Once I started opening my side body, I couldn’t get enough. That one class sent me on a cascade of exploration: into poses, breath, anatomy, and then choreography to create a Nia routine called Elegant Stumbling that focuses on the side body. I’m relatively fit and limber but until that first class with Mia I had NO IDEA the tension I was carrying in my sides. Her class opened ease in my torso and core, deepened my breath and got me curious about what was going on in there. Whatever it was, I wanted to be doing it more. As Mia points out, the side muscles, including the latissimus dorsi (broad back muscles), the obliques (side abdominal muscles) and the intercostals (muscles between the ribs) are working and stabilizing the body constantly. 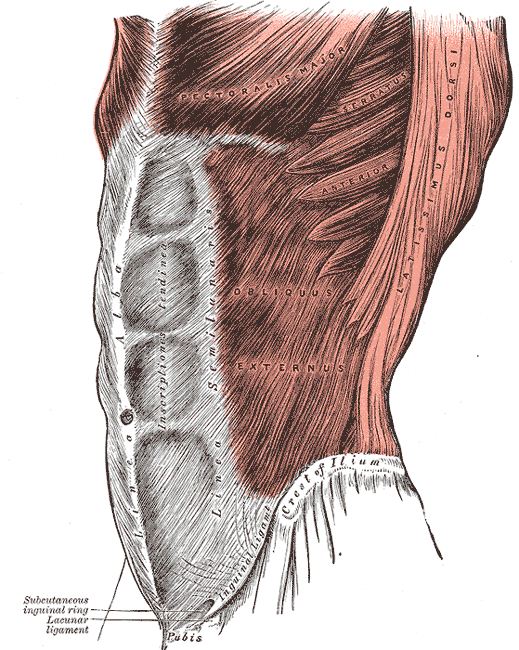 As I researched, I discovered a muscle I didn’t even know — the quadratus lumborum (QL), a deep abdominal muscle in the low back — that is deeply connected to side bending. 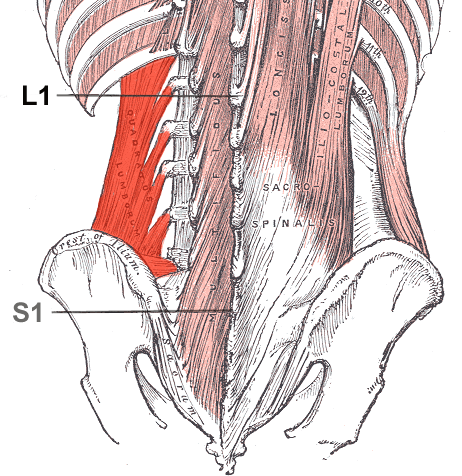 Like the obliques and the psoas (deep hip flexor muscle that assists with hip flexion and rotation — and is notoriously tight), the QL connects the pelvis to the spine. These muscles integrate the upper and lower body – actually keeping the legs and torso together — so they are working all. the. time. While we commonly (both in daily movement and in exercise) bend forward, arch back and twist, it’s rare that we do any lateral flexion (side bending). It’s not surprising, then, that this under-noticed area may be a little shy when it becomes the focus. Resistance or a feeling of “stickiness” is common when activating the side body, so it’s wise to go gently into these areas and breathe a lot. It can be easy to over-do or to hold the breath, so playing with awareness and breathing fully into all sides of the rib cage allows your body to open in its own natural time. As things tend to do in our super-connected bodies, there are other areas to be aware of when focusing on side body opening. Tight inner thigh and hamstring muscles can impede movement in the hips which in turn can reduce the range of motion in or strain the side muscles. As we play with side body opening, then, we’ll also focus on releasing inner thighs and hamstrings. It’s been a rich journey from that first class with Mia to the launch of Elegant Stumbling. I’ve learned how my core musculature affects the depth of my breath and my range of side motion. But the brightest side is that I’ve discovered movements that leave my body feeling easy and spacious. Get on your own good side and experiment for yourself. PS You can find a couple of excellent Yoga Journal Articles on the side subject here and here.